First bow kill for me. 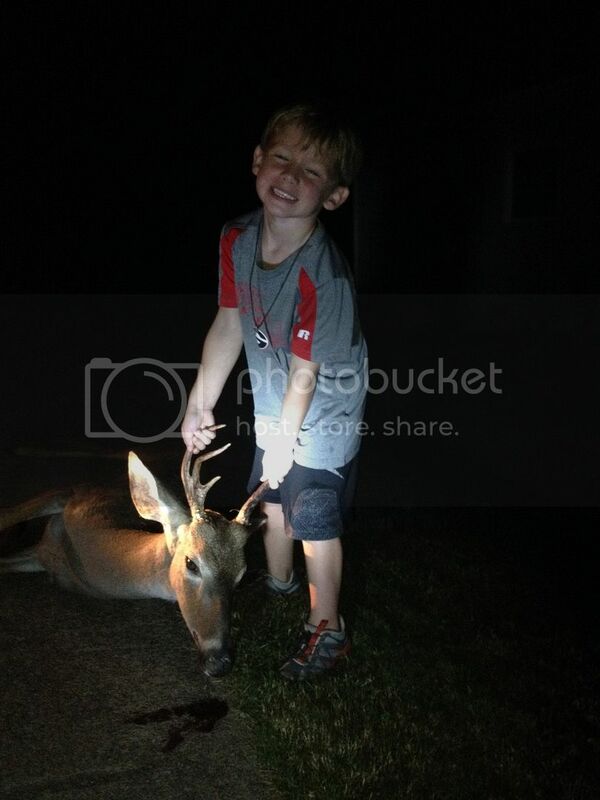 My son shot a really good eight pointer on opening weekend with his new crossbow. 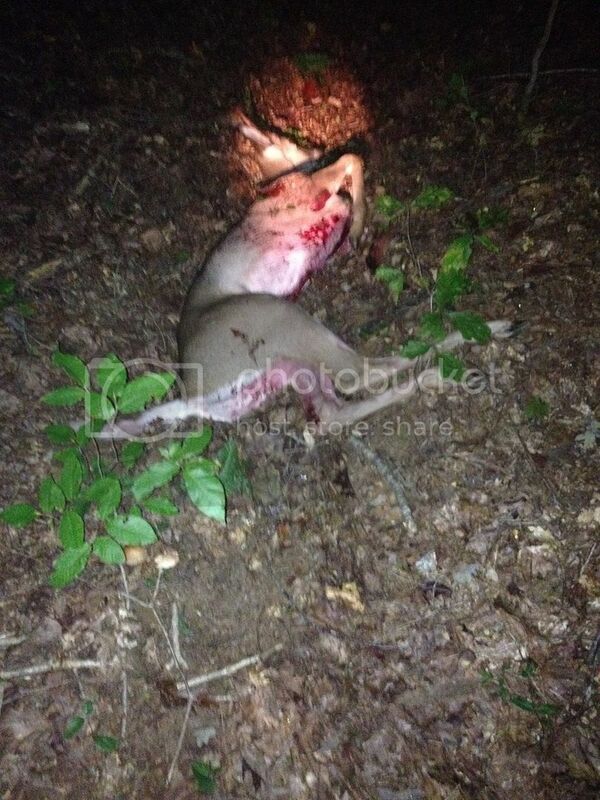 At first, we couldn't find any signs of blood so I thought he must have missed the deer. So we looked around everywhere. I asked him to tell me what it sounded like when the arrow hit the deer and which way he ran so we split up. I walked 70 yards and found him in a brush pile. Come to find out, the arrow had went in behind the shoulder and was stuck inside the bucks back leg. Then we realized the reason there was no blood trail. This is his best buck to date. Killed in north Georgia. My Daughter Mya's first buck ever! Killed it on 10/10/2015 in Carroll County. My daughter killed this buck on Saturday October 10, 2015 which happened to be my 40th birthday. What a great birthday present. She shot the buck at 150 yards with a 25-06 shooting bullets that I handloaded with 100 grain Barnes Tipped Triple Shock bullets and DROPPED him in his tracks. No track job needed. I couldn't be a more proud daddy. Got the first buck on my brother-in-law's property. It's just a 4 pointer, but my favorite deer so far. walked directly under my feet and shot him at 5 yards. Ended up being a fairly decent sized buck. Got this one in Oglethorpe Co. just before 9:00 this morning. Killed opening day evening in Jenkins Co. Hunted all day, changed locations three times. Finally set up on a creek bed next to the thickest stuff I could find on the property. He was being pushed by a very large buck but I could never get a shot on the larger of the two, so I took the shot on this one right before light ran out. All very nice deer. Congrats to everyone!